It is a trip all backpackers dream of - the golden beaches and clear blue seas of Bali and southeast Asia. 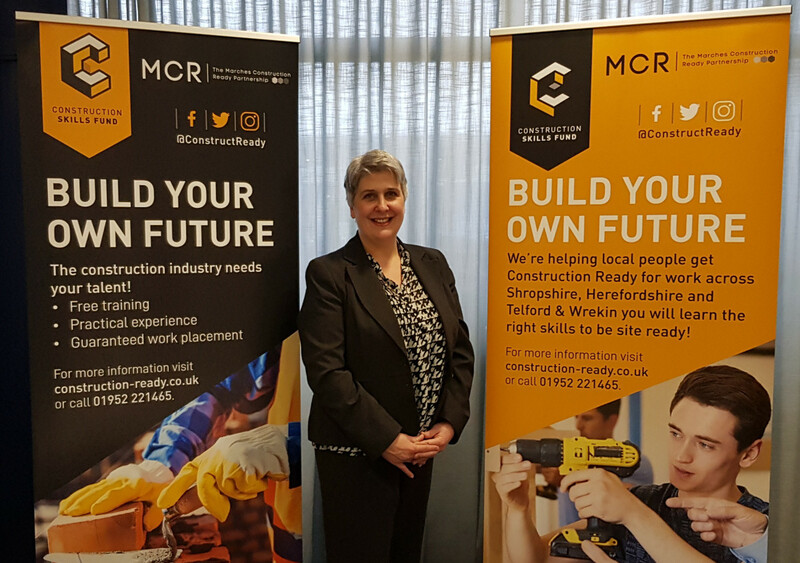 But for one Shropshire woman and her boyfriend, the dream became a nightmare when an earthquake measuring 7.0 on the Richter scale rocked the paradise isle where she was staying. 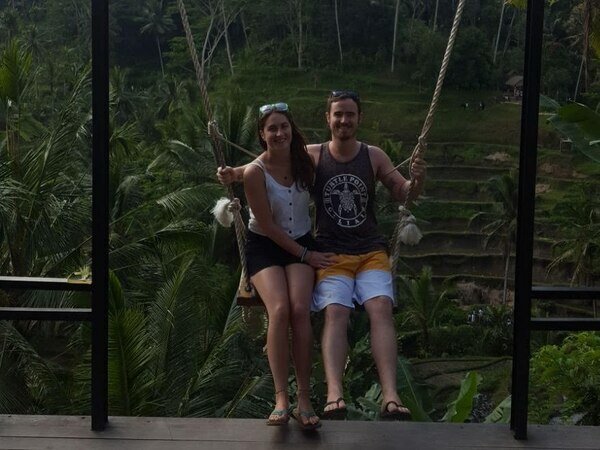 Sarah Feeney, from Newport, and her boyfriend Adam Foley, from Dublin, were staying in Bali in Indonesia when two deadly earthquakes struck the neighbouring island of Lombok, causing major damage to Lombok, the Gili islands and Bali. 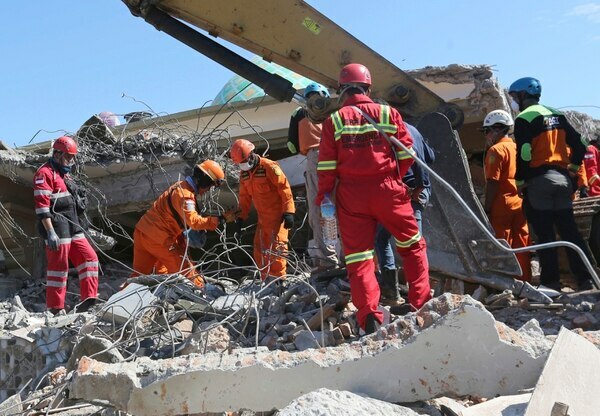 At least 131 people were killed in the second earthquake, which hit the northern part of Lombok on Sunday evening - and the death toll is expected to rise. Nearly 2,500 people have been taken to hospital with serious injuries and more than 156,000 people are displaced due to the extensive damage to homes. 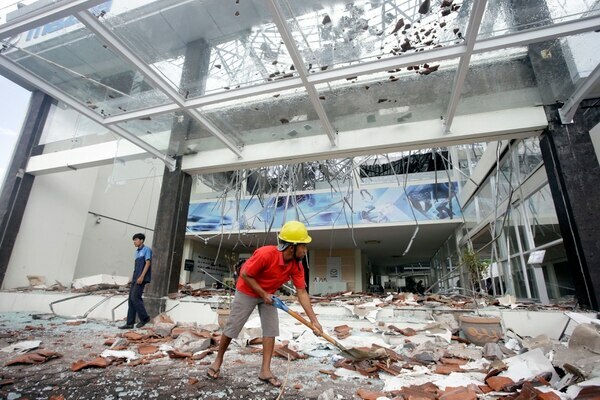 The earthquake came a week after another quake on Lombok killed 16 people. Sarah and Adam, who are in their early 20s, had been staying on the Gili Islands before moving to Canggu in Bali - and it was there that they felt the earth tremble. Sarah said: "The whole room started to move, we got out as fast as possible and were outside with everyone staying the in place we were. "One of the local guys was telling us all to get out of the rooms. The shaking must of lasted around a minute and a half. "When we were outside all the trees and smaller buildings and huts were moving and swaying, it was a strange, scary feeling. "When the shaking stopped we remained outside and waited for tsunami warnings, one was issued soon after and was lifted an hour or so later but we were warned to stay away from beaches." The couple then decided to moved to a village called Seminyak, which is south of Canggu. However, there have been a series of aftershocks. "We are staying in a much bigger hotel this time, we were in a small surfing hostel on the top floor," said Sarah. "But we felt the bed moving and swaying, then ran for the stairs, everyone in the building had to be evacuated, and same in all other buildings around, the street was full of people. "This earthquake was smaller but it still moved the earth and everyone is on high alert now. But we are safe. 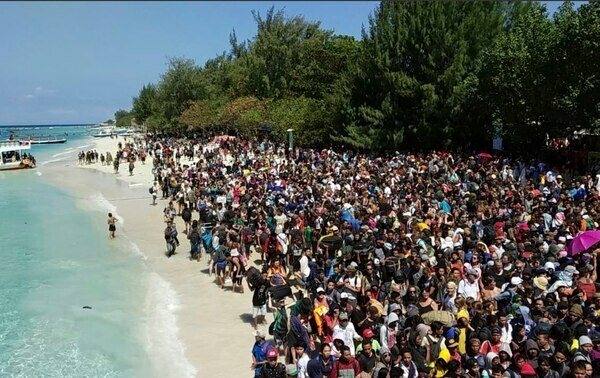 "So many people are trapped on the Gili Islands and Lombok, where only two weeks ago we were snorkelling and enjoying the beautiful beaches. "Our hearts are with all the people over there and family who have lost or have people hurt." Aid is now reaching isolated areas of the island while rescuers continued efforts to find the dead, pulling another body from the rubble. Volunteers and rescue personnel were erecting more temporary shelters for the over 80,000 people left homeless on Lombok. Indonesia is prone to earthquakes because of its location on the Pacific "Ring of Fire,” an arc of volcanoes and fault lines in the Pacific Basin.